What are the real causes of disease? How often we find ourselves doing everything ‘good’ and we still failed to be healthy? Why does our emotional state affect our body so much? How can I be well? In the last decade, Adriana Candeias has supported clients with a wide range of chronic disease recovering through natural therapies. Nevertheless, she observed that access to the right medicines and diet was not always enough. Some times, not even essential. Studying which factors promote wellbeing in depth, Adriana started introducing one more remedy in her prescriptions: Pleasure. The results were impressing. Adriana is here to demonstrate how our body benefits from “feel good” sensations, on a daily basis. Furthermore, that we depende on them. check our physical and emotional wellbeing in. develop our capacity to connect authentically with others. Adriana is especially careful in creating safe spaces where participants feel at ease, accepted and relaxed to engage in reflection, discussion, expression and meditation within their needs of the moment. Be prepared to move your body, sit on the floor and interact with others. 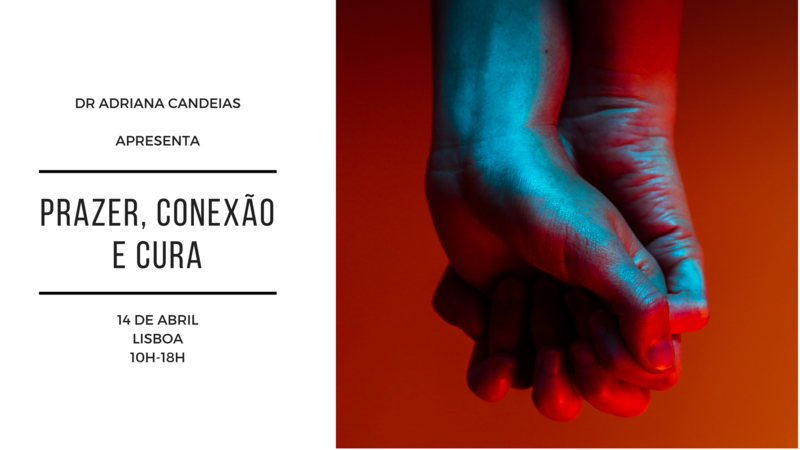 This workshop will be delivered in Portuguese. Click the link for details in Portuguese & bookings.